Many people choose to retire to Florida. For some it’s the warm weather. For others it’s being close to the beach and the ocean. One of the best reasons to Florida for retirement, however, is taxes — or lack of them. Florida has some of the lowest tax rates in the country, making it the perfect place for people to retire. One of the biggest benefits of Florida retirement and taxes is that there is no state income tax. This means that you don’t have to pay anything on top of your federal income taxes for income you receive from a pension, Social Security or an individual retirement account or 401(k). This can be a significant amount of savings, especially if you are wealthy. For example, someone with $100,000 in retirement income could save several thousand dollars on state income taxes in Florida compared with many other states. Most people want to pass on their assets to family when they die, but this can be complicated by inheritance taxes. Another big benefit when it comes to taxes and Florida retirement is the lack of any estate or inheritance taxes. This is a great benefit if you are wealthy. The federal estate tax kicks in at $11.4 million, so if you have assets that are higher than that, you will save by not having to pay additional estate or inheritance taxes in Florida. 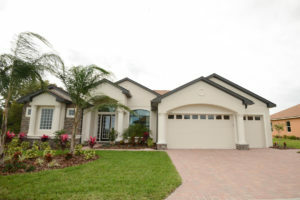 Most people who retire to Florida buy a home rather than renting, and that is a good investment. Homes, condos and other properties tend to appreciate more than the national average in Florida. Also, there are tax benefits of buying a retirement home in Florida. Florida’s property tax rate is near the national average, and the state also offers a tax exemption of up to $50,000, as long as you establish Florida as your residence and use your retirement home as your primary residence. Additional tax benefits of buying a retirement home in Florida include higher exemption amounts for people over 65 and those who are military veterans. When it comes to taxes and Florida retirement, there are many benefits that make the Sunshine State a great option. In Florida retirement and taxes go hand and hand, and the state has gone to great lengths to make its tax code friendly to retirees. When you are looking for a place to retire, look beyond the tropical climate and sandy beaches and make sure to take into account all the money you can save on taxes in Florida. Contact us to schedule a personal tour of our property today.